One big observation when looking at Amazon’s best selling games, most of them are Cards Agains Humanity. We could only think of one person to speak about this month’s topic and his name is Max Temkin. Known for his addicting, fun, and free games like Humans vs. Zombies and Cards Against Humanity. Max is going to talk to us about how he infuses Play into his work. Max has been a big part of our local community and the design community at large. Many of you have played his games, backed his kickstarter, or seen a gaggle of college kids running from zombies but you may not know Max is a humble Box Salesman by trade. A humble Box Salesman by trade. Max is originally from our Burbs. He educated himself in Baltimore with a brief time back in Chicago to help elect a president. After returning to our windy city in 2010, he saw Jim Coudal’s 2011 CreativeMornings talk and decided to take on his own projects as if they were clients. We are honored to have him speak and if you have ever played Cards Against Humanity before, come with your favorite game story to share. 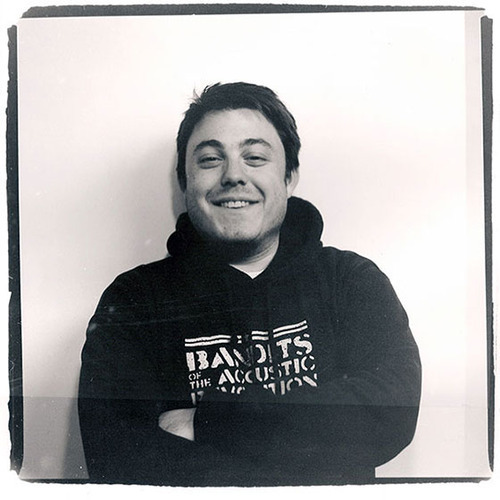 Follow Max @MaxTemkin, we will see you Friday! At the September Chicago CreativeMornings gathering The Leo Burnett Dept. of Design ( LBDoD ) was gracious enough to brew up some coffee, bring in some bagels, and loan out it’s spacious meeting space so we could all hear Will Miller speak about Connect. 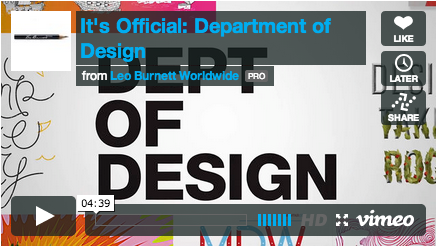 It’s Official: Department of Design from Leo Burnett Worldwide on Vimeo. 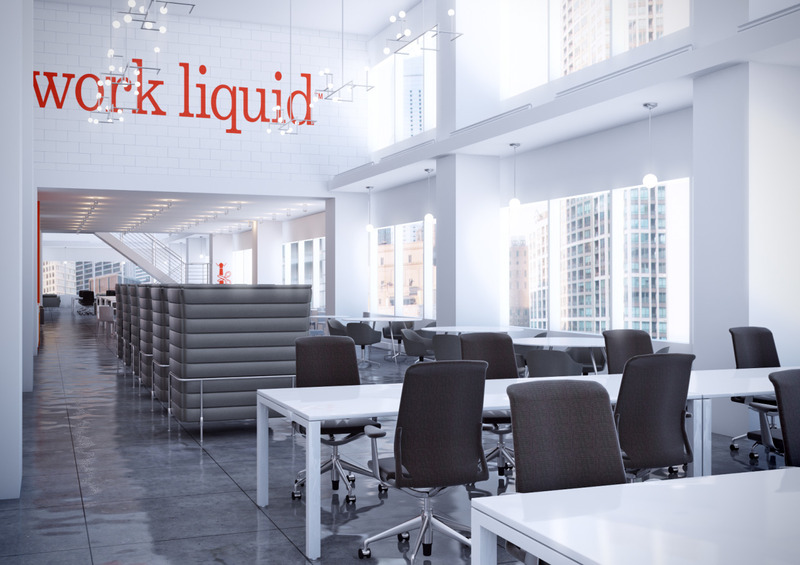 We all think of the Mad Men offices when we think of Advertising Agencies, but what LBDoD does it a tad differently. They are producing award winning design in somewhere you may not expect; a whopping seven pieces recently added to the STA Chicago Design Archive! Just like the creative places we all hail from, they search for inspiration and frequently look to the local Chicago community for the spark. Chicago is, as they say, a beautiful city with rich design roots and the perfect backdrop for collaboration. 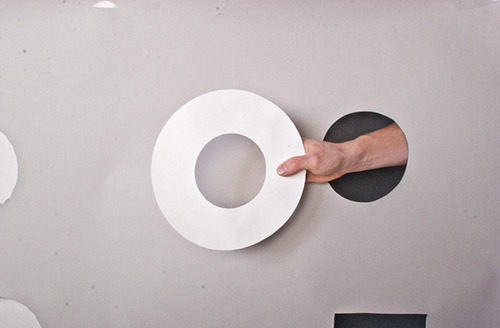 One of their original goals was to give an opportunity to designers to work for an iconic Chicago advertising agency. There is a spirit and drive from the LBDoD team to create sustainable, purposeful and beautiful work for the world and being big can be really, really fun. Now about 25 creatives strong, they aim to produce top quality design work and put themselves back into the community whenever possible. They are deeply rooted in our community. 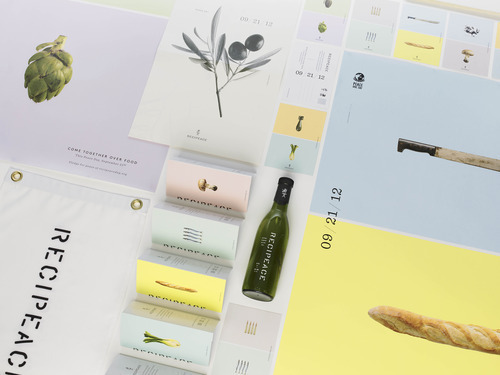 For the first six months of 2013, they were the agency of record for the AIGA. 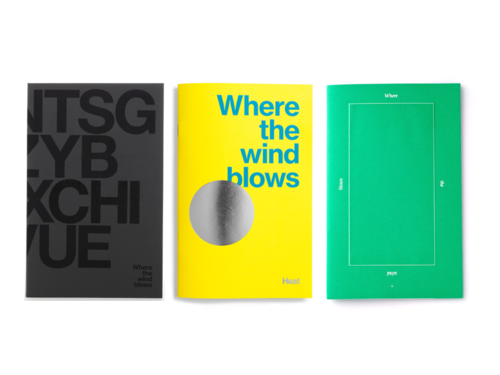 They helped them shape the AIGA’s presence within the city and create their “year in review”. Individual members of the LBDoD also take type workshops, host gallery events through Chicago Art Department, The Post Family and LAMPO. They have even had a few folks participate in Typeforce 4 ( A project Will talked about ). The LBDoD also sponsors the Chicago Design Museum. We can’t wait to have Leo Burnett Department of Design host another CreativeMornings. Until then, socialize with them on Facebook and bug them to start a LBDoD twitter. 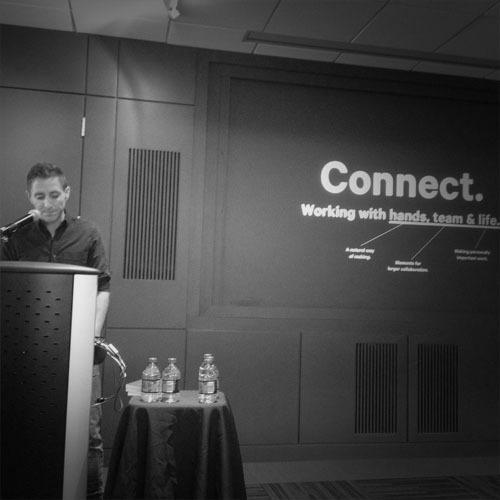 On Friday September 27th the CreativeMornings community gathered at the Leo Burnett Department of Design, coffee and bagels in hand, to hear what Will Miller had to say about this months topic, Connect. Will is a creative director and designer at Firebelly Design and we asked him to share how he connects his work with his passions. Working with your hands; a natural way of making. Designing for top notch exhibitions such as Type Force require lots of exploring. Will gave us a glimpse behind the scenes of the 2013 poster design. “These things can happen quick, feel like exploration and tend to be tactile.” He and his team cut holes into their backdrop and photographed hands holding the letters that spelled the title of the show. Working as a team; moments for larger collaboration. Showcasing Camp Firebelly, Will demonstrated how working in collaborative teams is how great design is made. Every year Firebelly gathers a hand full of apprentices that collaborate on a project to make the world a little better. Will showed how they teamed up with the You Are Beautiful campaign to create a street installation that brings the individuals together to form a powerful message. Working within your life; making personally important work. No presentation is complete without images of cute furry animals. Will shared his and his wife Erin’s passion of fostering at risk dogs. He showed off dozens of the little guys, including Lucida and Creature. 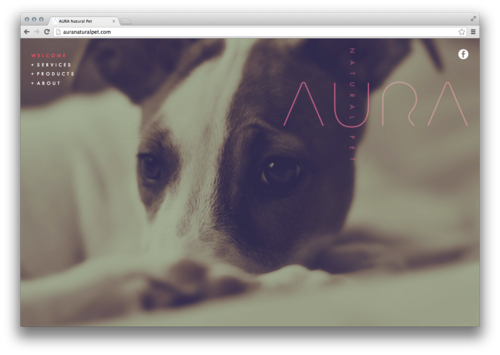 Erin went on to start Aura Natural Pet and Will designed the brand. They both make sure their passions stay at the forefront of their work. View more of Will’s work at his website. Engage in a deep discussion about the name of Will and his wife’s next foster-dog or meet up for a typographic run @q_type. 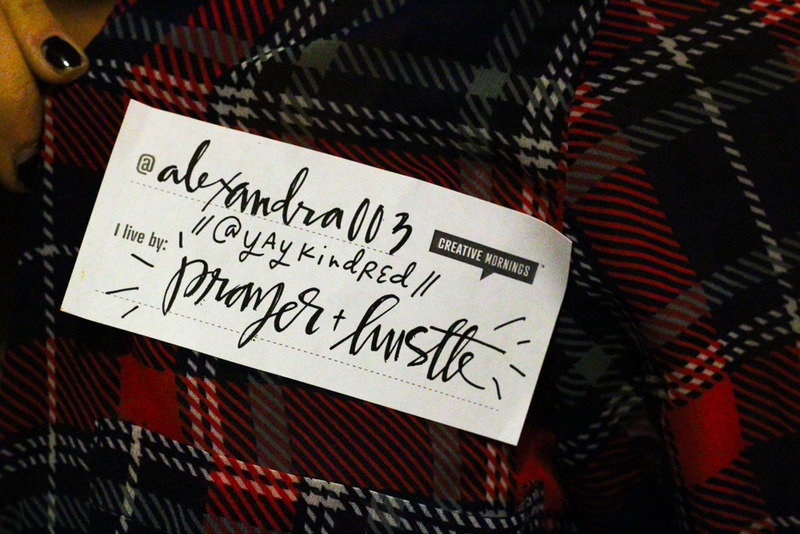 Thanks Alexandra, for visiting our September 2013 Chicago Creative Morning. 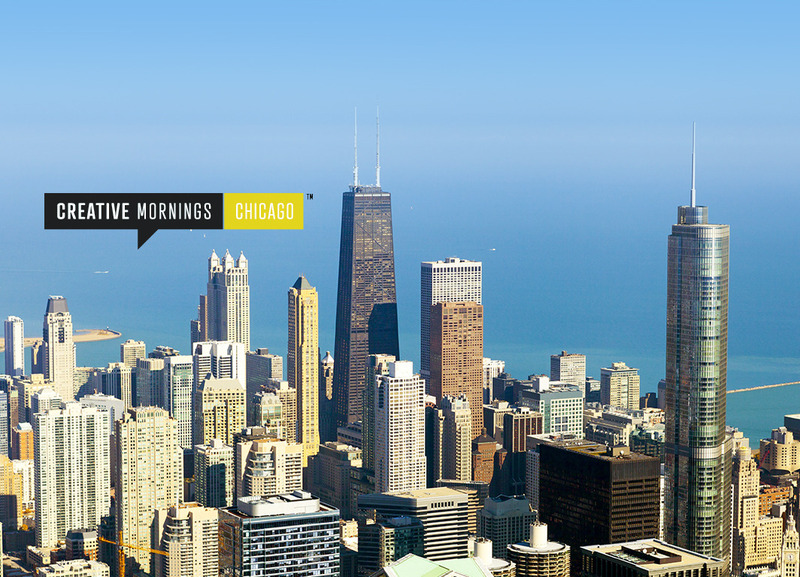 Welcome to the CreativeMornings/Chicago city page! Check back here for upcoming events, new videos, and photos. In case you haven’t heard, Grind has opened their 3rd location right here in Chicago. We’re pretty excited about it because they embrace the creative working environment and give entrepreneurs and freelancers a place to get away from home and meet other like-minded folks. Not to mention, they’re big fans of CreativeMornings and even provided the breakfast and coffee at our talk last month with the Greater Good Studio. They’ve officially opened their doors and are celebrating with a launch party! The event will take place on Thursday, October 3rd from 6:00 PM - 8:30 PM at their swanky new office located at 2 N LaSalle Street. You’re all invited, but first you must register. The night will be a combination of influencers, friends and Grindists, complete with a presentation about how work is changing by none other than CreativeMorning’s own Jake Nickell, Founder and CEO of Threadless. They’ll also provide tasty libations from local vendors and cappuccino from Intelligentsia. George Aye and Sara Cantor Aye of the Greater Good Studio graced the CreativeMornings stage in August, talking about the 3 things they’ve learned along the way. Plus, we get a peek into what it’s like working with your spouse! George and Sara’s candid, honest perspective was refreshing and inspiring. It was a creative morning, indeed. Check out the talk in full here.